The new Gillette ad focused on toxic masculinity is the current “woke” ad making headlines, but it’s certainly far from the first. Nike hit a home run with their Colin Kaepernick campaign, Dove has been both lauded and criticized for their real beauty campaign over the years. Pepsi got hammered for their Kylie Jenner campaign and Ram stirred controversy for their use of MLK. Values-driven woke strategies are certainly not a new idea but given our current political and social environment and select brands getting positive attention for their woke-ness, we’re likely to be seeing a lot of this kind of messaging in this year’s crop of Super Bowl advertising. Remember greenwashing? At one point the unofficial advertising meme machine required that every advertisement must include a giant wind turbine, solar panels, painfully attractive organic farmers, maybe a goat, and some language about brand commitment to saving the planet. Remember how many companies came off looking completely fake and hypocritical? Big oil companies were touting their “commitment to the environment” while the news featured massive spills and armies of volunteers wringing out oil-soaked seagulls and mopping up blackened beaches. Food companies were espousing “sustainably-sourced” products that were in reality doused in pesticides and manufactured with toxic chemicals. There was, and in many cases remains, a giant disconnect between the brand messaging and brand reality when it comes to sustainability. The new wave of “woke” advertising seems poised to expose brand realities in a very similar and painful way. Just like it was a positive thing to see the importance of sustainability elevated in the public consciousness, its encouraging to see issues like equality, mental health, bullying, abuse and other critical issues getting the long overdue attention they deserve. It could be argued that even a poorly executed advertising effort that shines a light on an important issue is a positive contribution. Brands have an opportunity to play an important role in increasing awareness of critical issues, and in many cases making a meaningful, tangible contribution to addressing those issues. It’s not hyperbole to say that brands have the potential to actually make a difference if they choose to. But of course, there are significant risks associated with the woke strategy even for the most well intended of brands. Woke issues are by their nature extremely powerful. Addressing things like racism, sexism, religious tolerance, physical and emotional abuse is a serious business and brands must be incredibly careful about how they handle these sensitive, and potentially volatile, areas. The very qualities that make these woke issues so potent are also what also makes them so dangerous. Handled poorly, at best you come off as insincere, at worst you end up deeply offending an enormous population. Being effective with a woke strategy not surprisingly requires being thoughtful. 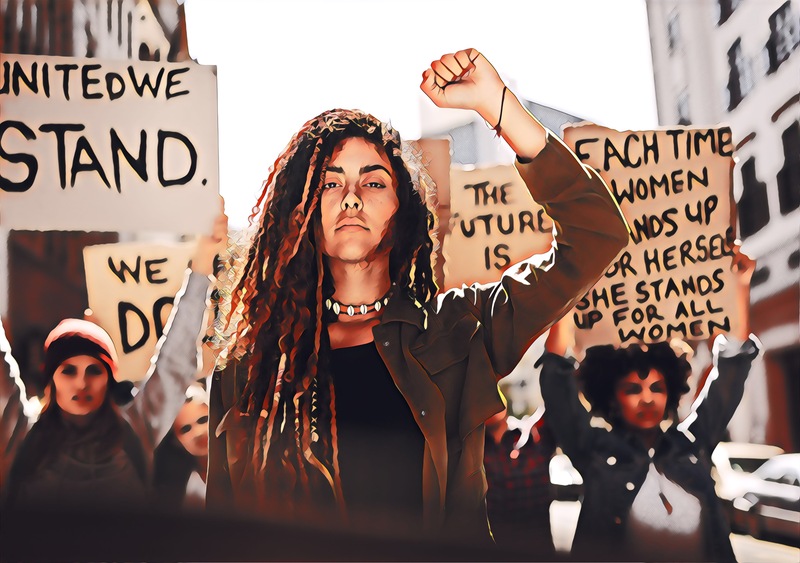 As we prepare for the likely parade of woke campaigns over the next few weeks, what can you as a marketing leader do to consider your own brand’s woke potential? Do you really care? – Does your organization actually care about the issue in question? While that may seem like a callous and obvious question, ask yourself if your brand is genuinely interested in helping to do something meaningful in the area you choose to highlight. If there is real interest in helping young girls actively pursue careers in science or providing healthcare for urban children or supporting women in abusive situations then absolutely consider integrating into your brand story. If there isn’t an authentic desire to actually support or contribute in a tangible way to the issue you’re highlighting, consider how a skeptical consumer might interpret your messaging. Do you walk the walk? Does your organization have policies or practices that are at odds with your messaging? For example, do your HR policies actively discriminate against a specific group that you are claiming to support in your marketing messages? Are your senior executives publicly aligned with groups or ideas that conflict with what you’re saying as a brand? These are important considerations at any time from a brand management standpoint but especially important when dealing with more sensitive issues. Is there a connection? – In some cases, the connection to your brand may feel contrived or too much of a reach. Is it possible to establish a reasonably intuitive connection between what people know of your brand and the issue you choose to embrace? There are plenty of creative ways to establish those connections and no standard criteria for determining if you’re overreaching. If it feels like a stretch it probably is. Can you handle it? Like I mentioned above, invoking a woke strategy means working with highly charged material and not every brand is up to the task. Doing it well requires a high level of organizational self-awareness, the ability to quickly and effectively sense and respond to consumer reactions and a commitment to follow through. Going down the woke path is not for the faint of heart. However you feel about brands touting their wokeness and the varied degrees of success brands will have experimenting with these areas, its a good thing for all of us to see these topics and issues getting more attention. There will be some cringey fails, some moving tearjerkers and everything in-between. As marketers now rolling up our sleeves and working to align our organizations with more serious and meaningful topics, we have a responsibility to be authentic in our intentions. Let’s be woke in our use of wokeness.